Headlined by USA Basketball’s first four-time USA World Championship Team member Sue Bird (Seattle Storm), the 12-member 2014 USA World Championship Team was finalized on Sept. 23 in Prague, Czech Republic. The U.S. squad, which posted a 4-1 record in exhibition games and began training camp on Sept. 8, will travel to Turkey in the morning for the 2014 FIBA World Championship, which will be heldSept. 27-Oct. 5 in Ankara and Istanbul. 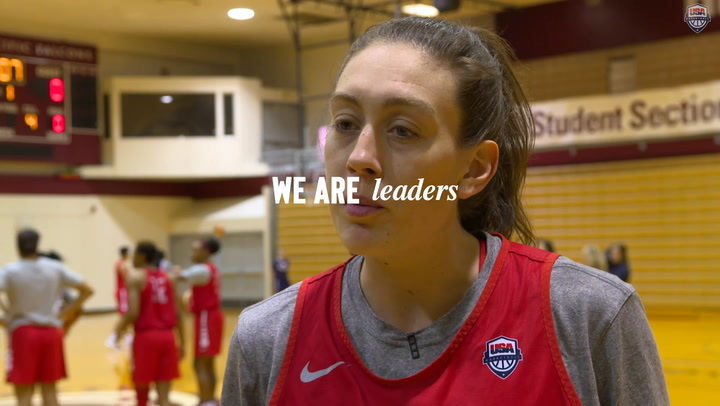 The team was selected by the USA Basketball Women’s National Team Player Selection Committee, chaired by USA Basketball women’s national team director Carol Callan. Including Bird, who won gold in 2002 and 2010 and a bronze medal in 2006, named to the 2014 USA World Championship Team were: three-time USA World Championship Team member Diana Taurasi (Phoenix Mercury), a member of the 2006 and 2010 U.S. teams; 2010 USA World Championship Team gold medalists Tina Charles (New York Liberty), Candice Dupree (Phoenix Mercury), Angel McCoughtry(Atlanta Dream), Maya Moore (Minnesota Lynx) and Lindsay Whalen (Minnesota Lynx); 2006 bronze medalist Seimone Augustus(Minnesota Lynx); as well as Brittney Griner (Phoenix Mercury), Nnemkadi Ogwumike (Los Angeles Sparks), Odyssey Sims (Tulsa Shock) and Breanna Stewart (University of Connecticut), who will be competing in their first FIBA World Championship. Further, seven of the eight members of the squad with prior FIBA World Championship appearances are Olympic gold medalists. 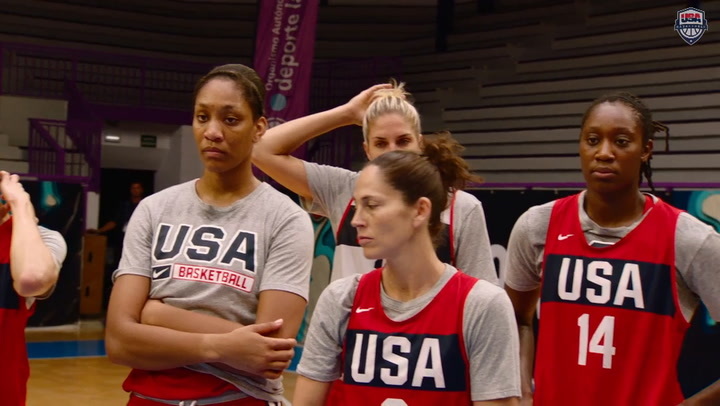 Bird and Taurasi have won three Olympic gold medals; Augustus won Olympic gold in 2008 and 2012; while Charles, McCoughtry Moore and Whalen earned Olympic gold at the 2012 London Olympic Games. “I think anytime a team is selected, you are always excited about who was picked and disappointed for those who weren’t picked,” said USA head coach Geno Auriemma (University of Connecticut). “We knew it was going to be difficult. We are missing so many veterans from previous World Championships and the Olympics, so it was a great opportunity for some younger players for some new faces to be added. I think they’ve done a great job. I think from what I can see, we’ve got a little bit of everything. We still have, obviously, some things that we have to work on. Brittney (Griner) is going to get here, and this will be her first time through this. Odyssey’s (Sims) first time. Breanna’s (Stewart) first time. Nneka’s (Ogwumike) first time. That’s a lot of new faces. I know our coaching staff has our work cut out for us, and we are excited to finally get the team together and get started. 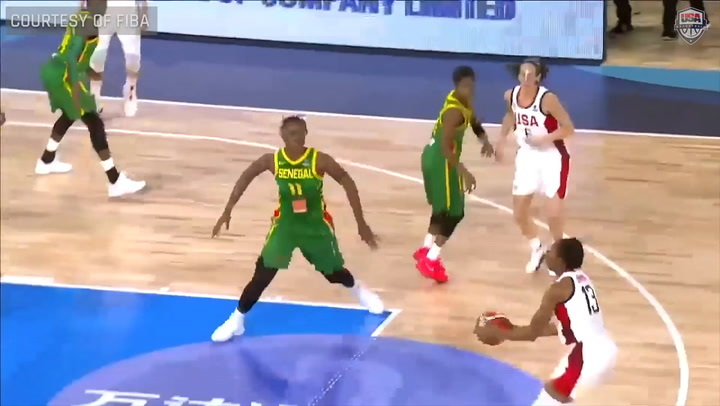 The USA National Team defeated Canada 76-51 in Bridgeport, Connecticut, then went 2-1 in the 2014 France International Tournament in Paris after taking down Australia (1-2) 72-66 on Sept. 19 and China (1-2) 99-75 on Sept. 20, before falling to host France (2-1) 76-72 on Sept. 21. In its final exhibition game, the U.S. defeated host Czech Republic in Prague 76-41 earlier tonight.